Being broad-based specialists we boldly call ourselves the best website redesign company in the niche. Your website, rather it's dedicated to a company or to personal needs, is an important tool for client-intake. It shapes the first impression and if build right leads to sales growth. We are here to create a solid online presence for your business. A lot of work is to implement when it comes to website redesigning. That is why it is very important to hire experienced webmasters. SocialEngineMarket is a reliable website redesigning services provider. Our aim is to change your website so that it would look absolutely fresh and still convey its unique message. 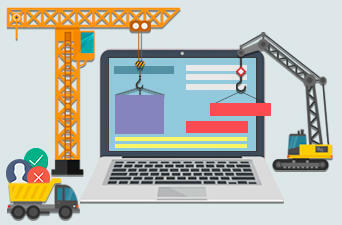 Why website redesign is unavoidable? If your website functions properly that's great. However picky modern users and a high level of competition require it to be beautiful just as much. Web design trends change continually with great force. For this reason, even the most good-looking websites require refreshments once in a while. Web design and coding go hand in hand. This makes redesigning not just unavoidable, but also quite beneficial. Why you can rely on us? There're important aspects lots of business owners often forget about. It's all about user experience. The design must reflect the actual situation of your business matters. If you decide to change your marketing strategy, your website is supposed to correspond those changes. Here, at SocialEngineMarket, we stand for professional approach. Every change on the site, such as adding new goods to inventory, must be considered during web redesigning. That is why we deploy specialists from all necessary departments for implementation of each project. Marketing experts work closely with developers. Thus, as a result, you get a completely different design along with robust web solutions that follow your current marketing strategy. 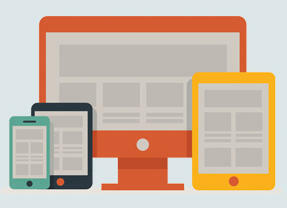 Nowadays responsive design is one of the most pressing issues in web development. More and more Internet users prefer going online with the help of their mobile devices, rather than desktops. To offer your customers the best experience ever, we recommend you to add responsiveness to your web pages throughout redesign. This way you give your audience what they expect and increase your sales, by covering more customers worldwide. Probably the number one cause of website redesign is that it became outdated. It is very harmful to your business, especially due to the huge competition online. If there's a choice, that's natural for a customer to find a company that has a modern site. Nobody would trust their site those who don't care for their own one. 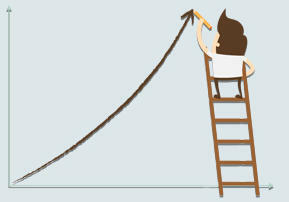 When working on a redesign and dealing with e-business in general, it is important to monitor the market. We keep abreast of the web design and development trends. This allows us to deliver top-quality projects, that are highly adaptive to further updates. Professional website redesigning is not about changing a style, it's about raising to a new level. You don't necessarily need to change the entire site at once. Sometimes it's enough to redesign the most frequently visited pages first. Regardless of the size of your project, we can help you to convert regular site visitors to customers, improve user-experience and step up your business. Just contact us for a free quote and find out the details.